In today’s podcast, I will talk about “Web Hosting”, as a part the “How to Build a Website” discussion. There are literally 1000s of resources both on and off the web to help you learn more about building websites, but I’m providing a “quick and dirty” overview about websites, and in this case web hosting, so that you can learn more about the process behind getting your website up and running, and so you can make an informed decision. I’ve recently added two great resources to this blog, one of which is the “Build a Website” page, and the other is the “Build a GREAT Website” page. The first one outlines the ways that you can get a website created, and it details the process of getting a website up and running. The second one is about a great service called “Site Build It” or SBI (for short), and it’s a somewhat more expensive service, but I highly recommend it, and at some point, I’ll probably do a blog post specifically talking about this later. Right now, I want to get into Web Hosting, and what you need to know about it. Just like you have 1000s of options for choosing how to build your website, or even how to learn about building your website, you similarly have many options for where you can get your web hosting from. Just to give you a little background about this, web hosting is a type of internet service that gives you space where you can upload the files of your website (and that’s called “hosting” them), meaning that when someone types in your URL (or your domain name) that they can see your actual website, which has been created by those files sitting on a web hosting server. There are hundreds of web hosting services out there, but for now, I’m only going to talk about SEVEN (7) of them, for brevity’s sake. Deal with a company that has a good reputation. This is part of the reason why I’m specifying which companies or products and services I’d recommend, because I’ve either used them, know of someone that has used them, or I would or plan to use them in the future. We live in a world now where no advertising campaign is better than the “word of mouth” ads that are taking place in social media and among friends, so when you ask someone about their web hosting company and who they like and dislike, listen closely, you may be able to save yourself a headache. The company must have a good Control Panel: The second thing to look for in your Web Hosting company is a control panel that’s easy to access, navigate, and use. I recently had a terrible experience with a client’s web hosting server’s control panel. It was shoddy, cheap, and not even secure in terms of keeping the customer’s computer files safe from hackers or just about anyone who’s savvy enough to figure out the IP address of site. Before encountering this company’s control panel, I would have thought that all web hosting company’s panels were the same. I’ve learned this isn’t the case! As such, I share it with you so that you can be informed about this, moving forward. Insist on Great Tech Support: I can’t deal with a company that doesn’t have 24-hour technical support assistance. Essentially since we live in a global economy and MOST maintenance to websites occurs during the non-standard hours of the day. Even if a company can’t offer their full array of tech support services 24/7, I think there should always been someone available to answer questions, for that off-occasion where something goes majorly wrong with your website at the wrong time of night. 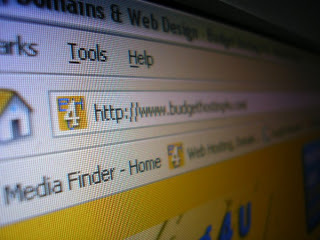 Before making your final web hosting decision – Google the company and see what people are saying: It seems to me that just about every web hosting company has something bad out there about them, and knowing what I know about Search Engine Optimization, I know that you have to take everything that you find with a grain of salt, and consider who’s making the review. Some people pay a lot of money to get the worst of their company’s news buried deep past lots of positive reviews, and some companies actually purposefully bad-mouth other companies so that they will appear in searches when people are looking for customer reviews. Whenever possible, find out what you can about a company, and if you can get a personal recommendation from someone you know, that’s always going to be better than just about anything you can find via a search engine. Price: The final consideration for web hosting plans, in my opinion, is price. As you search for web hosting plans, you’re going to find that the features and services offered with each are going to pretty much be standard across the board, with some companies offering more or less extras than the other. But what can (and probably will be) the deciding factor for you, as the savvy entrepreneur is price. My experience has told me that it’s not always a good idea to go with the cheapest of anything, just because it’s probably ridiculously cheap for a reason, either because the services are limited, or because there just isn’t a lot of emphasis placed on quality. As with anything, consider what you’ll need the hosting for, and what you think might be the possibilities for what can happen with your site. So, stay tuned to the Bootstrapping Without Boots Blog, to learn more about the specific web hosting plans that are out there.